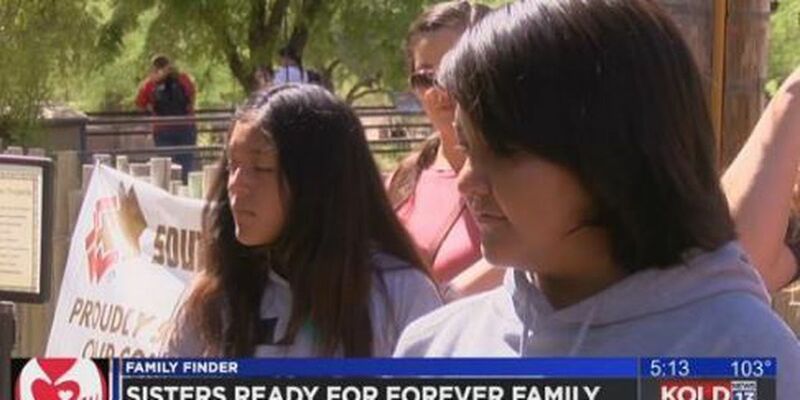 TUCSON, AZ (Tucson News Now) - Meet two sisters ready to find a forever family, 11-year-old Rachel and 13-year-old Angel are a fun pair that share a special connection. "Even if she says she don't love me, she still loves me," said Angel. "My sister's just annoying, like regular sisters are," said Rachel. Typical sisters! Don't let them fool you, Angel and Rachel share a special bond. "They are two sisters that have been through a lot together. They have a very close bond, but they are also like any other siblings," said Victoria with Christian Family Care. "I like makeup. I really like skate boarding," said Angel. "I really like to hang out with my friends." "My favorite movie is the Lion King. I like lions," said Rachel. Looks like we came to the right place. The girls can see the lions up close at the Reid Park Zoo. "Lions are the bosses of mostly everybody," said Rachel, who is always curious and very confident. "She loves to learn. She's always out there wanting to know more," said Victoria. Angel is a math lover, but also has a creative side. She already has an idea of what she wants to be when she grows up. "A photographer and I also want to be an archaeologist," said Angel. With big plans for the future, Angel wants a family to support and love her. "She wants someone to love her. Someone to just be close to her," said Victoria. "People she can call her own." The girls are looking forward to finding a family to just hang out with. "Like watch a movie together I guess, just to get to know them, you know, just to see what kind of movie they like," Rachel said. "They would do really great with parents that could invest a lot of quality time with them," Victoria said. Quality time and big hugs, that's what Rachel and Angel need. "This is the perfect time for parents to come in and wrap their arms around them," Victoria said. Angel and Rachel are in separate group homes right now. The goal is to find them a forever family where they can grow up together.